Is there anything better than coming home to your luxury apartments in Medical Center after a long day of work? Yes there is, and it involves pizza. If there’s one thing we can all agree on, it’s that nothing remedies a bad day faster than a large pizza with extra toppings and plenty of ranch on the side. If you’re in agreement with us — and how could you not be — then you’ll enjoy the blog post below. In it, we’ll be talking about three of the most popular pizza restaurants in the neighborhood around Stella at Medical Center. Whether you prefer greasy slices of pizza or the brick oven-baked goodness of a neapolitan pie, the list below should have a spot that will fulfill your pizza needs. Next time you have a bad day, let one of these top-rated pizza joints come to the rescue. Let’s get right to the list of restaurants, shall we? When you get done with the post below, please be sure to share the link to this page with your friends. Better yet, go ahead and share it with your neighbors at your community of apartments near Medical Center! The cool thing about Pizza Motus is the authenticity. The owner of Pizza Motus lived in Rome for years, which might explain why the ingredients are so fresh and the pizza is perfectly cooked. The tomato sauce is flavorful, the pepperonis are thick and the crust is soft and chewy just liked it should be. Put simply, Pizza Motus is just a cut above the rest of the margherita-style pizza shops in Houston. The best thing about Luna Pizzeria is the gooey, perfectly cooked cheese that sticks to the pizza and pulls apart with every bite. You’re not going to find more picturesque pizza in all of Houston. We love the classic NY-style pizza at Luna Pizzeria, but we’re especially fond of the pizzas with unique toppings like prosciutto and arugula or spicy andouille. If you’re a vegetarian or you’re dining with one, Russo’s New York Pizzeria is a good bet. We’re fond of their kale, spinach and artichoke pizza, which comes with super fresh ingredients on a perfectly-roasted crust. The crust is a little on the thin side, but if you’re into that, you’ll love this place. Russo’s is famous for their super flavorful toppings, speedy service and top-notch sides. Give it a shot next time you’re in the mood for piping hot pizza, residents! We’ve hit the end of our list of the best pizza joints in the Medical Center area, but we’ll be back in December with two more brand new blogs for our residents! We’re thrilled that you were able to take a few minutes out of your day to read this post from Stella at Medical Center, and we hope that you’ll come back in a couple weeks when our next post goes live on the site. 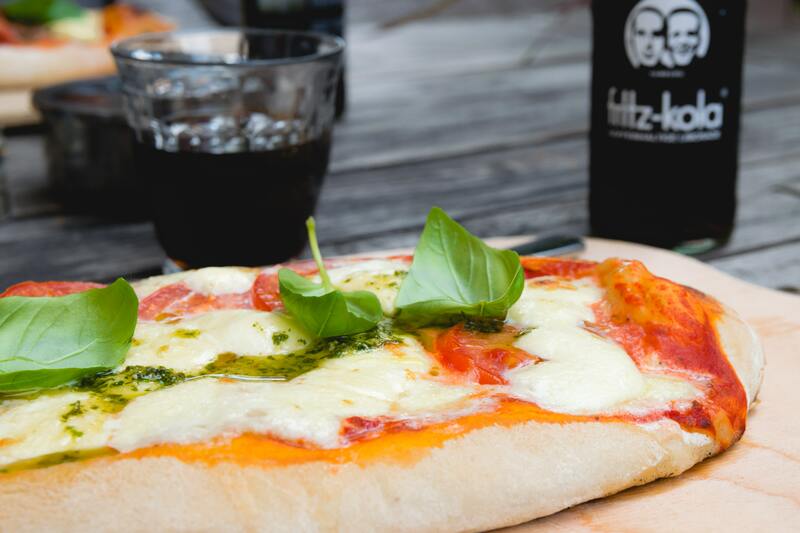 More than that, however, we hope you get the chance to try some of the amazing pizza eateries on the list above! If you feel like you learned something from this week’s blog and you’d like to be among the first to read the next one when it’s posted on our website, we encourage you to bookmark our blog page. That way, you’ll be able to enjoy easy access to future posts when they go live in a couple weeks! In the meantime, you can stay informed about everything happening at Stella at Medical Center by following our community of apartments on social media. After all, there’s no faster or easier way to ensure you’re always in-the-know when it comes to upcoming resident events, special promotions and giveaways happening at your community of apartments on Alameda Rd.